For me, simply hearing the question is a great first step for a parent. It shows me that you care, that you want to be a part of what will certainly be an exciting and rewarding part of your kid’s life, and hopefully, something you will enjoy as a family for many years. 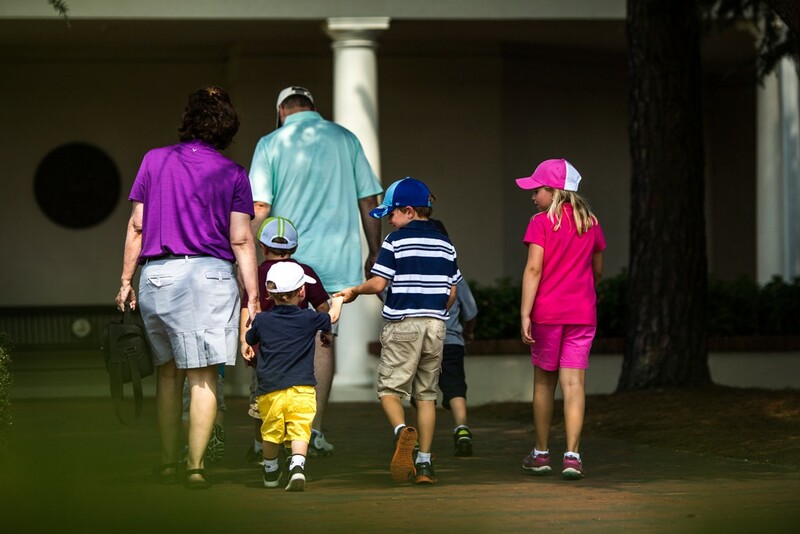 Golf is one of the greatest ways to spend time together as a family. But of course, we all know there are some pitfalls to avoid. I have a standard 4-point response to parents who ask me about a good first step. I hope this helps guide many of you into introducing this awesome game to your child. I truly believe the return on your effort will show it to be one of the best decisions you can make as a parent. 1.) When they are having the most fun, it’s time to leave. This almost always catches people by surprise, but it’s actually quite simple. Whether it’s hitting range balls, sinking putts, or even staring at turtles in the pond — when you sense they are having as much fun as they can, it’s time to pack up. Basically, the key is having them wanting to come back. It’s much better to have them leave too early than leave too late. Once they associate the golf course as a place of fun and an aspirational place to be, the biggest challenge for kids has been overcome. 2.) Find the right equipment. You simply cannot teach a proper swing and proper fundamentals with clubs that are too long and/or too heavy. Your six-year-old cannot bring dad’s old clubs to class and have any expectation to do well. Of course, I love U.S. Kids Golf and their nine different sizes fitting system. But no matter what, properly fit youth equipment for young golfers is a must. 3.) Fun is more important than scores. Kids naturally love to compete. But even more, they love to laugh and enjoy each other’s company. I try not to make introductions to golf too competitive or results focused. I want the child to feel a sense of accomplishment, but not at the expense of enjoying learning the fundamentals of the game. 4.) Be patient. If your child gets frustrated, change their focus to something else. If they want to sit out a few swings or holes, that’s okay. Rome wasn’t built in a day, expecting your kid to find golf an easy game is unrealistic and unfair. The most important thing is to be supportive, be engaged and make them find golf enjoyable. They’ll create their own pressure to succeed once they fall in love with the game — just as you did. I know there are many good opinions and thoughts out there on how to get your child started in golf. My thoughts will always center on the FUN in the game. If your child is enjoying themselves learning golf, everything else will be exponentially easier. If they aren’t, then you’re not doing them, yourself, or the golf world any favors by forcing them to the golf course. I hope every parent interested in getting their child playing golf remembers this above everything else. It’s a game to cherish and love, it’s a game to be social and shared, and it’s a game to last a lifetime. Kevin Weeks is a nationally recognized golf coach who has earned three Illinois PGA Instructor of the Year Awards (2005, 2007, 2009), is currently ranked 2nd on Golf Digest’s Top Instructors in Your State List (IL), and was a finalist for 2010 National PGA Teacher of the Year Award. 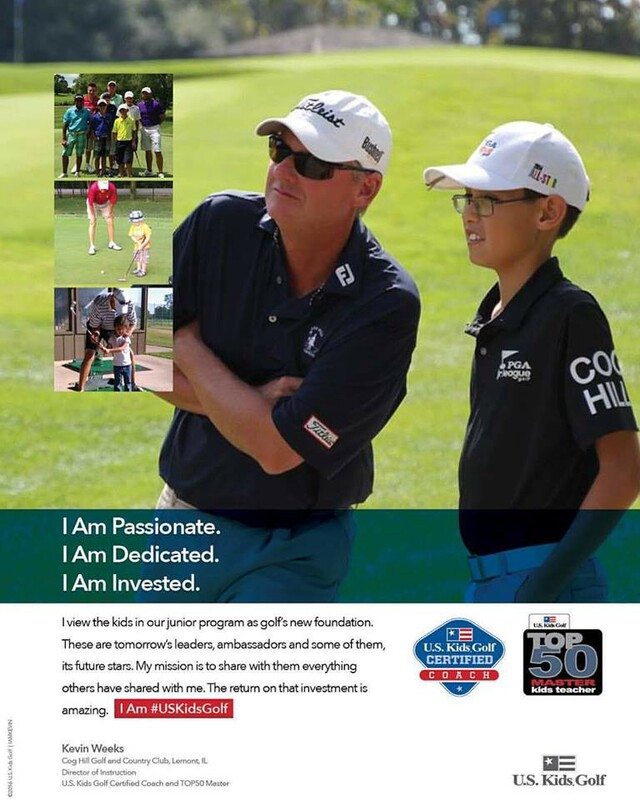 In 2013, Kevin was named US Kids Golf Top 50 Master Kids Teacher for his commitment to developing junior players. Over 60 of his students have played college golf. Kevin is a regular contributor for many golf media including PGA.com and Golf Digest and has worked with over 100 PGA Tour Players since 2006.